The Disneyland Railroad has officially resumed its grand circle tour of Walt Disney’s original Magic Kingdom! The return of this classic attraction has been highly anticipated by Disneyland park fans eager to experience the beautiful new waterfront and updates along the Rivers of America. 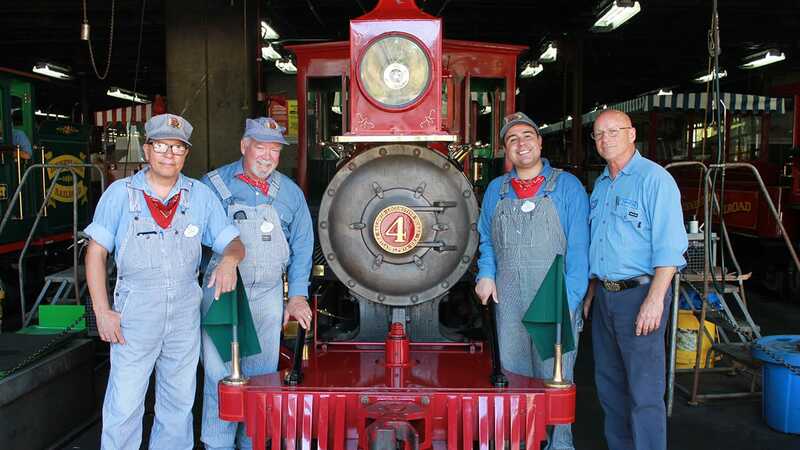 Among some the most excited fans, in fact, are the cast members who engineer and care for the historic steam engines. Robert Rodriguez and Craig Ludwick are on the team of knowledgeable engineers working on the Disneyland Railroad. Both are experts on the engines and have passion for sharing Walt’s love of steam-powered travel. “Any way we as cast members can inspire the guests to have a passion for these trains like Walt did, is fantastic,” Robert told us. They have been busy the past few months preparing for the Disneyland Railroad to return to its 365-days-a-year operation. Both are excited for guests to join them on the rails and experience the new additions to this classic attraction. The Disneyland Railroad now travels across the rocks on a trestle that extends out along the Rivers of America. When asked about his favorite new addition, Craig said, “Once our guests see those new waterfalls, lighting and the amazing stone work … you’re going to hear people say, ‘Oh, wow! 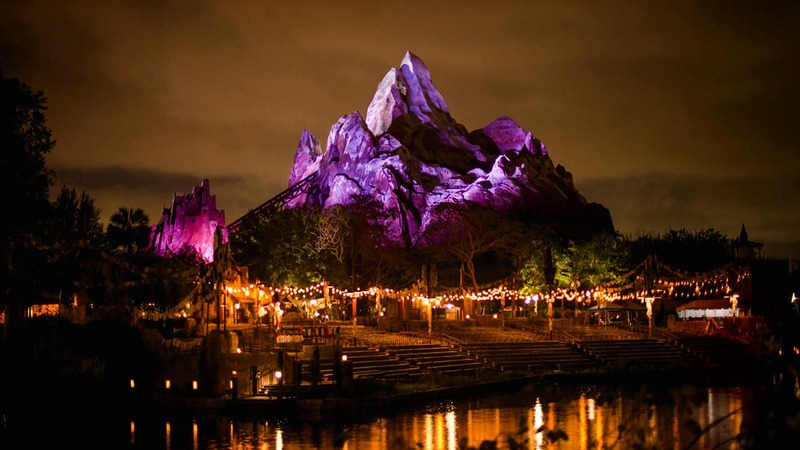 Look at that!’” He’s also eager for guests to discover the breathtaking new view of Walt Disney’s iconic Dioramas of the Grand Canyon and Primeval World, which have been carefully restored to their original splendor with a bit of new magic added to both. My nephews and I rode the new train for a full circle tour at night, and it was amazing! The updated Dioramas are awesome! We look forward to a day trip round the park and adding a trip on the Mark Twain riverboat to see the train from the other perspective! Considering how fast-paced entertainment is for kids, I am surprised at how much my nephews enjoyed the train ride. I wish this ride could encircle DCA too! My husband and I rode the new rails last weekend –stellar! We also loved seating that provides excellent viewing no matter where you are sitting. Well done, Engineers and Imagineers! My husband and I always make the Grand Circle Tour our first ride at Disneyland. Can’t wait to go back! The new rock work and bridges look AMAZING! We love the Disneyland Railroad, and ride it often when we are visiting the park. On a too-hot Southern California day it’s so easy and pleasant to hop on the train to get to the other side of the park in comfort. But, it is also our family tradition to take a “Grand Circle Tour” of Disneyland as our final ride on the last day of our visit, so we have one last view of the entire park before we have to return to the “real” world. As you can imagine, we have missed the train terribly during the last year and a half, and can’t wait to ride it again. It will be our very first ride on our next visit. Great article!! Can’t wIt to take my grandkids!! !